Embrace the beauty of springtime at two of Singapore’s most established restaurants as they unveil seasonal menus crafted from the finest produce. Perched on the 70th level of Swissôtel The Stamford, JAAN is one of Singapore’s best modern European restaurants, with one Michelin star to boot. Here, chef Kirk Westaway has crafted a spring menu that reimagines the season with the freshest produce from coastal Devon in southwest England to the ancient French town of Pertuis. To start, a vibrant selection of canapés is served, with the Devon Cheddar Cheese Buckwheat Pancake Ball standing out for its playful resemblance to the Japanese takopachi and the cheese’s distinctively nutty taste. 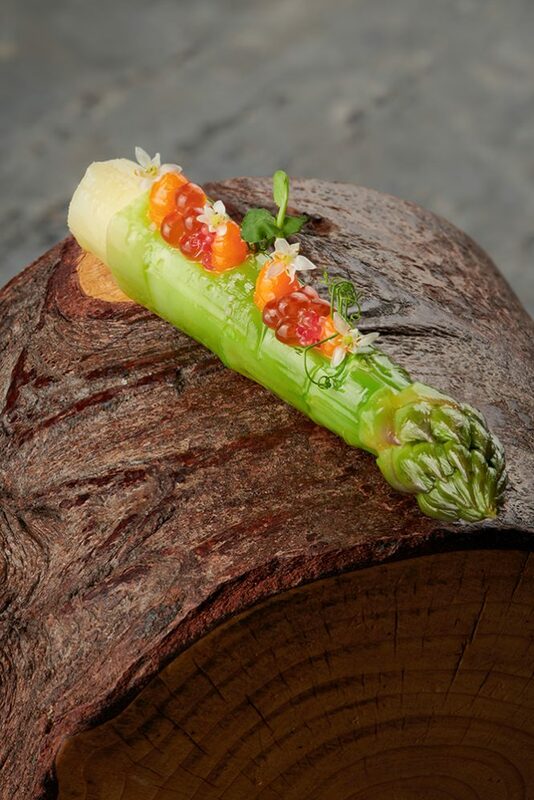 Not to be missed is the Pertuis Asparagus, a large and flavorful spring vegetable hailing from its namesake town. Blanched and rolled in seaweed butter glaze, the resulting dish is simple yet delightfully textural. Another spring treat, the earthy chestnut mushroom, is complemented by a Scottish scallop and topped with hazelnut dressing. The menu’s pièce de résistance has to be the Iberico Pork Loin, which is laboriously seasoned, trimmed, marinated, and prepared at 60° Celsius for 45 minutes. The result? Morsels of melt-in-the-mouth meat, paired with dashi and pork broth for a comforting treat. Goodwood Park Hotel’s Shima Restaurant has unveiled a spring menu inspired by Hokkaido’s finest produce, transporting diners to the land of the rising sun with every mouthful. As Singapore’s oldest Japanese restaurant and first fine-dining teppanyaki establishment, Shima proves that it is equally adept at kaiseki-style cuisine. Designed by chef Hoshiba, the traditional multi-course menu presents dishes centered on well-loved springtime ingredients like the Hotaruika Firefly Squid, which is marinated in a tangy vinegar miso and complemented by handmade sakura bean curd and fermented bonito on Japanese mountain yam. Make room for the simmered dish of spring mackerel, Pacific sardine, horse mackerel and sweet rice, that brims with the natural sweetness of the sea, before indulging in a crispy medley of fried asparagus, sakura ebi, and soramame (broad bean). 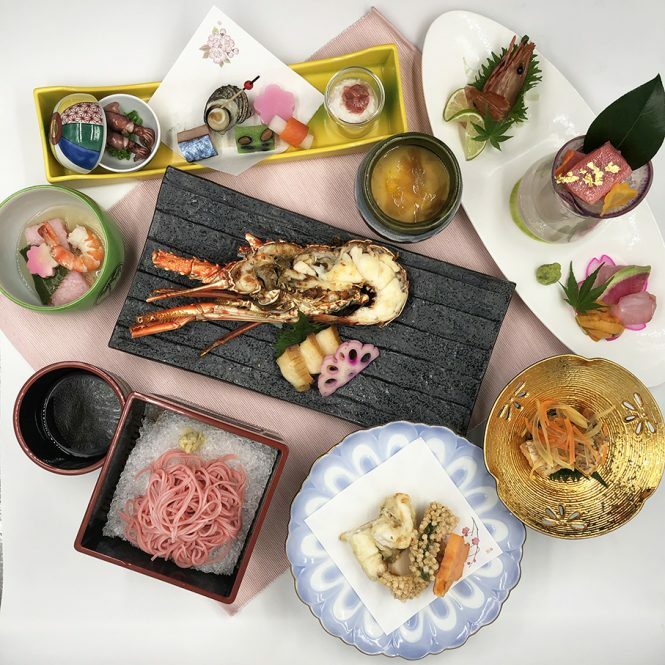 Whether it’s details like a butterfly hand-carved from sweet potato or a mochi dyed pink with sakura flowers, each beautifully plated dish brings to life the ephemerality of spring.